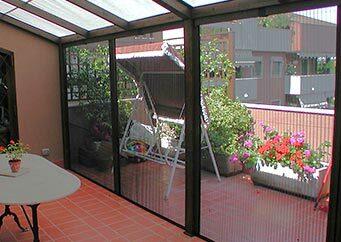 Pleated Sheer Retractable Screens have a well-established reputation in Europe for great quality and a refined look. 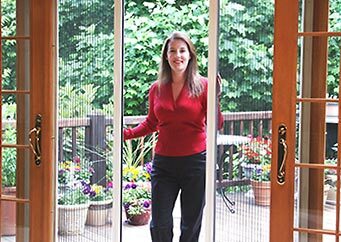 Genius Retractable Screen Systems has introduced its own pleated screen for the U.S. – the Sheer Screen Advance – with several new features never before available. The Sheer Screen Advance by Genius is the first pleated screen in the U.S. market to be able to be cut to size on site rather than being pre-cut at the factory. 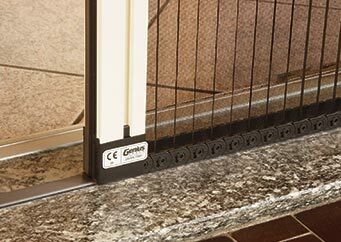 If the doorway is smaller than anticipated, the Sheer Screen Advance can be reduced during installation by as much as 15.75″ (40 cm) with no loss of functionality. The Sheer Screen Advance does not have a bottom guide rail. The track installs flat to the ground so there is no runner to trip or step over. This makes the Sheer Screen wheelchair accessible.